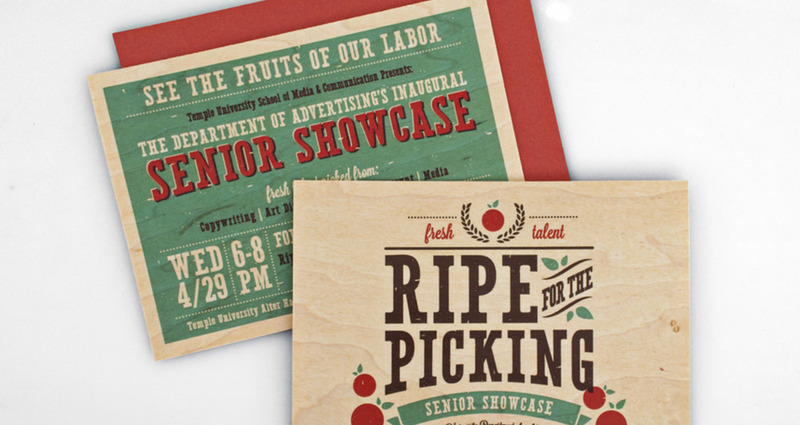 For the Advertising Department's Inaugural Senior Showcase at Temple University, a farmer's market theme was adopted. 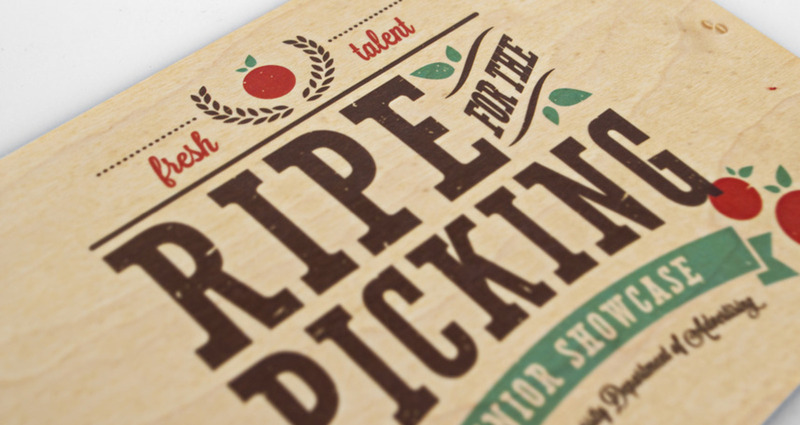 Graduating Advertising students were positioned as “ripe for the picking” and employers were encouraged to “shop local” at the Senior Showcase. 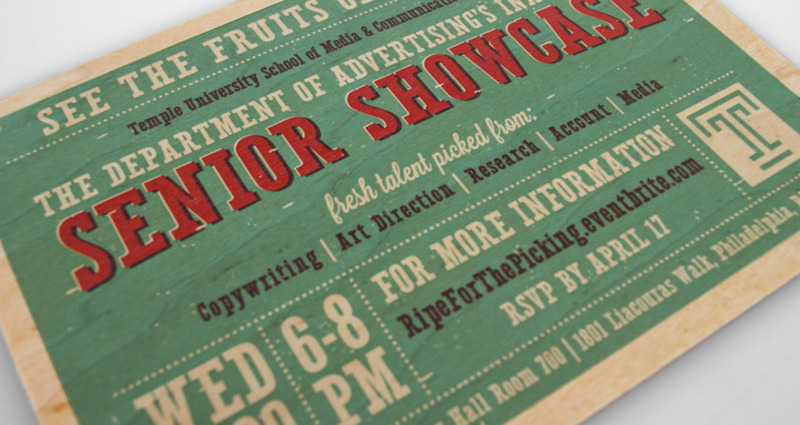 The invitation was printed on Maple wood veneer and mailed to 300 advertising professionals. The event is designed to celebrate our graduating advertising majors and generate greater awareness our program in the professional community. The invitation had to grab the attention of busy advertising creative directors and executives and convince them to attend for informational and recruitment purposes. As a result, one hundred professionals registered to attend--Fifty of whom indicated that they were hiring! None of us had experience printing on Maple wood veneer and the vendor does not offer color proofing or press checks. We had to cross our finders and hope for the best. We opened the package with bated breath and thankfully--our vision was fully realized and perfectly produced.